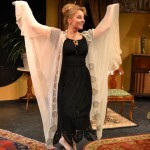 Hanna Bondarewska in the Ambassador Theater production of They Don’t Pay? We Won’t Pay!. In this week’s Take Ten, Hanna Bondarewska shares the passion that drives her work. For Dario Fo’s They Don’t Pay? We Won’t Pay! – at the Ambassador Theater through March 26 - she worked closely with longtime Fo collaborator Mario Pirovano, and even Skyped with the playwright himself! As far as I remember when I was probably 4 or 5 years old, I saw a children’s show, Hansel and Gretel, with my parents and I remember how involved I was in the whole story. To this day I can recall the role of a witch who scared me so much that I screamed and tried to warn Hansel and Gretel to run away from her. My parents always took me and my sister to see many performances in the theater and took us to the National Theater in Warsaw to watch famous operas and ballet shows. I remember watching all those performances with rosy cheeks and imagining myself on the stage among all the other actors and living in this imaginary world. After watching all those performances, my sister and I were always imitating the parts we saw on stage at home or outside and we created our own shows. Our home was also a home to many artists, including all of our family and friends. These gatherings were full of songs, poetry readings and dance. From the early days I started reciting poetry and singing, first, in front of our parents, family members and friends and then at school. My parents were our most important critics. They were fabulous teachers who gave my sister and I, our first lessons on how to walk and talk properly. Honesty and imagination was a very big part of our early learning. I still remember walking with a stick under my arms, with a glass of water or books on my head. My granddad would teach me to curtsy, how to walk, sit like a lady, how to eat with a fork and knife and more. All those early lessons helped me significantly later in my education and my acting and directing career. I started performing when I was in elementary school in all my school’s productions and as soon as I got to High School, I was already performing in a professional theater in Warsaw. One of the most memorable performances was a huge historical performance in celebration of “1000 years of Sandomierz” in Poland, in which I acted as Queen Wanda amongst already well known professional actors. I felt I was on “cloud nine”. This was an unforgettable time of learning from all those professional actors and directors. I was able to perform for an audience of thousands, who came to see this show. I was a true queen going to a battle, carried by two strong soldiers, by my ankles complete in full armor. That was a true adventure, I had to learn a lot about the epoch, style, learn how to fence and keep my body straight while two actors were carrying me and running with me through the entire area full of hills and brick pavement. Each play I ever acted in was very significant, requiring a lot of research and fun in transforming. But one I will never forget, was the role of Beatrice in Servant of Two Masters by Goldoni. I loved playing that role because it called for transforming Beatrice into a man and then back to a woman in a split of a second. It was a fun comedy in commedia del arte style. I had to practice a lot of fun movements, including fencing with real swords and had to have very quick, with very complex costume changes. The show was a great success and we had to extend the run of the show for 2 years. I always tried to find something fun in every job I had to do. The only one that made me quit, was a job selling water filters in Florida. But the reason I quit was because management was trying too hard to sell very expensive units and tried to force me to trick people into getting them. 5) What is your most embarrassing moment in the theatre? There were many funny moments! I never forget the moment when I was playing the lead character in a children’s show and I was running through the audience with my stage sisters to get on the stage, in a long gown and one of my sisters came too close behind me and stepped on my dress and my dress ripped, oh my God, what an embarrassment! I had to continue running towards the stage, holding my dress so it would not fall down and then i had to sing a love song. I was truly paralyzed but the audience did not even notice. The other very embarrassing moment was when I was dancing on a huge Performing Arts stage in Florida, among 5 other beautiful dancers. I was dancing to the newest composition, dressed in a leotard with a nice scarf over my hips. After 10 kicks, my scarf came loose and fell down and I could not even pick it up until the very end of the dance. I was frozen inside but had to continue dancing and did the choreography. My acting skills helped me finish in a smooth way and I picked up the scarf as it was intended. My sister was laughing so hard but my niece, maybe 8 years old, felt my embarrassment and said out loud to her mom, “that was not funny mom!”. That made my day! 6) What are you enjoying most about working on They Don’t Pay? We Won’t Pay! By Dario Fo? The work on that play started last year in early summer when I decided to work on an Italian play and wished to explore a Nobel Prize winner, Dario Fo. As soon as I received the book with the plays by Dario Fo, the play that immediately caught my eye and won my heart was the original play, Won’t Pay! Won’t Pay!. This was one of the plays that when I read it, I laughed so hard and immediately thought of producing it in US. I saw a lot of references to “our current times”, even though it was written in 70s. I immediately contacted the author’s agency and learned that they do not give permission to the original version anymore, and that Dario Fo rewrote the play in 2008. It was translated into English in 2012. That is the version we are performing now with more updates, that we created while working on it. These modifications were accepted by the author and the translators. I also got a chance to work with Mario Pirovano, the closest collaborator of Dario Fo who came to the US and presented his One man show of Johan Padan and the Discovery of America by Dario Fo. He also led a Master Class for our actors and friends. Thanks to him I was not only able to learn more about Dario Fo and his style, but also meet Dario Fo via skype and see him create. Thanks to Mario, we were able to get a personal video message from Dario Fo about the play and its message. I felt truly blessed to have such an opportunity. Thanks to that process I was also able to implement many of the acting skills into my performance of Antonia in They Don’t Pay? We Won’t Pay!. Also Thanks to this collaboration, I was able to better understand the communication with the audience. I was able to listen more intently and apply that knowledge on the stage. I love playing the character of Antonia, who tries to find the best way to survive in the world of economic crisis and always find solutions (even if they were not the best ones but portrayed by Dario Fo in a very grotesque-like, humor) to a given circumstance. I also love interacting with my colleague- actors and find new things every time we perform it. I find joy in finding new comedic things and references to our times, thanks to the audience collaboration. I feel like an actor who got so many artistic tools from Dario Fo and now is able to paint, compose and fly! The only dream date I ever think of is my husband, but if we are talking about dream meeting, then there are many names that come to my mind. Currently while performing in They Don’t Pay? We Won’t Pay!, I dream about meeting in Dario Fo in person, a “Renaissance Man of our Times”. I would love to watch him perform life and participate in an acting workshop led by him. I also would love to visit his art studio where he creates his fabulous paintings. I would love to listen to his inspiring life stories and learn from a master. My dream job is creating a theater that moves the audience, inspire them, provokes and makes them come back to hear more. I dream of a theater that is a home for all creative artists and a great collaborative, inspirational exchange between the artists and spectators. I am always dreaming of a theater that houses international artists whose main goal is to create works that uplift and provoke, educate and inspire the international cultural understanding. I dream of a theater that breaks all borders and brings us all closer after learning about different cultures from around the world. Since I grew up and was educated in Poland, my travels would probably bring me back to my hometown, Warsaw, where I saw several inspiring productions that I would love to see again and again and again. One of the most inspiring ones was Amadeus, directed by Roman Polanski who also played the role of Mozart with one of the most famous actors of our times, Tadeusz Lomnicki, who played the role of Salieri. I never forget the scene in which he transformed right in front of the audience from an old crippled man to a young Salieri. I watched the show 4 times, standing on the steps, there was no seats available. His mastery was unreachable; I never saw any actor in my life who would reach that mastery as Tadeusz Lomnicki. I also saw him in Krapp’s Last Tape by Samuel Beckett in which he was breathtaking. 10) What advice would you give to an 8 year-old smitten by theatre / for a graduating MFA student? If you are truly serious of becoming an actor, make sure you learn how to use your “heightened senses”- listen, see, smell, taste, be aware of all things around. The process of learning and discoveries never ends! Always master your skills, work on your body, voice and look for inspirations to broaden your artistic vocabulary. Acting is like painting, composing, singing, playing music and dancing, all combined together. You may reach the sky but you may also fall down. Listen to your inner voice and fly. HANNA BONDAREWSKA is a Polish-American actor, Artistic director & Founder of the Ambassador Theater. Hanna was recognized by DC Metro Theater Arts as one of the Best Directors 2014 and 2015 for Happily Ever After and for The Trap and received 2013 Helen Hayes Canadian Grant Award among other awards and recognitions. She founded the Ambassador Theater because she believes in the power of theater to change the world for the better through collaboration and artistry. By bringing together theater and diplomacy she hopes to give us all a new perspective as global citizens, which will lead to deeper cultural understanding. “For Hanna Bondarewska, the path to world peace not only exists, she is walking it — one artistic endeavor at a time.” – The Washington Diplomat. Darren Marquardt (Giovanni) and Hanna Bondarewska (Antonia). Photo by Valentin Radev. In case you haven’t noticed, we’re in the middle of probably the most contentious presidential election in a generation. Once the trash-talk dies down, we might actually get to talk about the issues, of which there are many. How bad is it? Consider that once we get past the shock of Donald Trump’s language and the pugnacious attitude of his staff and crew, we discover that what really ticks people off is stagnant wages, rising prices for necessities, evictions of honest hard-working people, etc. The media meanwhile, are so obsessed with gossip about the latest outrage from The Donald that they don’t give us time to notice just how miserable the economy really is. Enter Ambassador Theater and their celebration of Dario Fo’s provocative, unabashedly leftist comedy, They Won’t Pay? We Won’t Pay! Set deliberately in the present day, and subject to revision and adaptation every time it is staged, They Won’t Pay? borrows liberally from the Italian Commedia dell’ Arte tradition to tell a tale about our contemporary economic crisis. In this American incarnation of Fo’s classic we have all the makings of a screwball farce, with enough pratfalls and evidence hidden from view (not to mention the occasional stiff) to fill an entire Vaudeville hall. The action begins with a run on the local supermarket; shoppers, outraged by the sudden increase in prices, begin to loot the store shelves of everything and head home with their stolen goods. So far, so good; but how to hide the stuff from the police? Answer – instant pregnancy. Suddenly, all the women in the neighborhood appear with ‘baby bumps’ loaded with pasta, olives, tuna, etc. And because the local police can’t be trusted to enforce the law even the Feds get involved—to no avail. The somewhat ditsy heroine here is Antonia—played with gusto by Hanna Bondarewska, who channels Lucille Ball by way of Fo’s late wife Franca Rame. Her partner in crime is Margherita (the charming Moriah Whiteman), and much of the comic business here revolves around the ‘baby bump’ plot and its unintended consequences. It’s not too long before Margherita’s husband Luigi (the charismatic Mitch Irzinski) learns of his wife’s instantaneous conception, and he and his best buddy Giovanni—Antonia’s husband, played here by Daren Marquardt—proceed to wander all over town looking for the ‘baby’ and its ‘mum.’ Occasionally wandering into this mess, in a variety of guises, is the irrepressible Peter Orvetti, whose quadrupling of roles becomes a rather pleasant running gag throughout. How fortunate we are in the DC area, a locale that seeks status as a world class city, to have the Ambassador Theater in our midst. 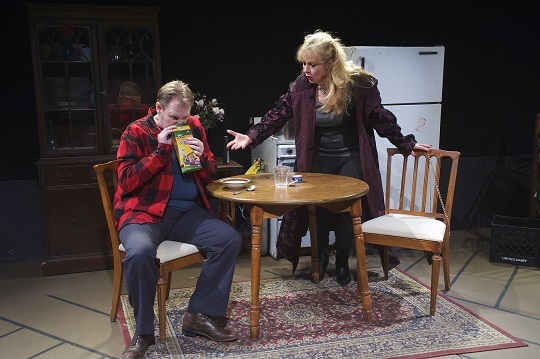 The Ambassador Theater has a mission to build international cultural awareness through a regular repertoire of under-produced plays from renowned playwrights. 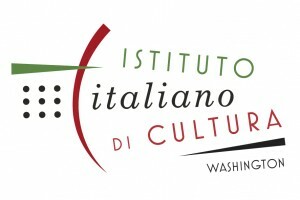 The programming often involves connections with cultural affairs representatives from other countries to bring shows to the stage. Ambassador Theater’s s current production, done in partnership with the Italian Cultural Institute, is Nobel Prize for Literature recipient Dario Fo’s They Don’t Pay? We Won’t Pay! (1974). The production is an amusing farcical tale of working class heroes taking revenge on the establishment after being screwed over too long by those in power. It is payback they seek; and payback they take. Fo’s They Don’t Pay? We Won’t Pay! is guerilla political theater that draws upon the celebrated 16th century Italian carnival-like artistic style of Commedia Dell’arte and 20th century left-radical political perspectives about the solidarity of put-upon workers in their battle against the owner classes. Under the direction of Joe Martin and Danny Rovin, with a translation of the Italian text by Jon Laskin and Michael Aquilante, They Don’t Pay? We Won’t Pay! Is a fun house for those who enjoy absurdist sketch-art, an improv sensibility and the frantic, uncontrolled inner workings of Commedia Dell’arte with stock-characters who wear an attitude of high-jinx like a mask. The frenetic comic style of They Don’t Pay, We Won’t Pay cleverly disguises the play’s sweeping intention of seriousness until at the final curtain, the capacity to unseat the powerful through worker camaraderie becomes clear. Martin called the play an “underclass farce” that expands upon the large repertory of “overclass farces from Noel Coward, Oscar Wilde, et al.” In his director’s note, he further indicated that the spirit of the show is “topical for time and place of the production” as the translated dialogue includes references to current some situations in the United States. The play is succinctly described by Ambassador Theater as: “Desperate housewives take justice in their own hands… inspired by real life events of workers’ uprising in 1974’s Italy.” The characters include housewife Antonia (a likeable, colorfully portrayed, high-energy, spinning-top Hanna Bondarewska). During unrest at a supermarket, Antonia appropriates food without paying; then tries to hide the stolen items from her more law-abiding husband Giovanni (Darren Marquardt with a comical presence and a befuddled reaction to the happenings surrounding him). Antonia’s hiding place for the shoplifted food is under a coat worn by her best friend Margherita (Moriah Whiteman as a droll second-banana, fully living her stage life in reaction to Bondarewska). From this start, there is constant physical disorder and loud verbal commotion and the rage of people unable to pay their bills because the system is set against them. The chaos only expands when Giovanni and his friend and Margherita’s spouse Luigi (Mitch Irzinski as a “straight” presence for most of the production) are made to believe in miracle pregnancies and several levels of police investigate where the stolen food might be and who might have stolen it. Peter Orvetti plays two police characters as twin-like doppelgangers; one supporting the workers and looking the other way; the one with a fake mustache who pays a price for his anti-worker attitude. Even the Pope takes some verbal hits. The design team that transformed the black box of the Mead Lab Flashpoint into an apt setting for Fo’s wit are up to the task even on what appears to be a small budget. The team includes Set Designer Rachael Knoblauch who built a small interior apartment space and with sleight of hand brings some scenes “outside” with the first-rate assistance of Lighting Designer E-hui Woo with her use of half-light and black outs that also evocate dream sequences. Noor Che’Ree’s music/sound design is effective with mood setting especially as the show nears its conclusion with a very recognizable century old anthem to solidarity. Mitch Irzinski (Luigi), and Darren Marquardt (Giovanni). Photo by Valentin Radev. Costumer Sigridur Johannesdottir provides the working-class characters with the clothes needed for audiences to realize who they are. Benjamin Cunis is credited as movement consultant for the feverish, if not breathless, pace of the production. A big round of applause goes to Set/Artist Painter Julia Tasheva, who I must assume painted what is a fantastic work of visual art, the set curtain that the audience gazes at. The painted curtain is not unlike the 1930’s Ben Shan works, some may recall once hanging in DC federal building such as HHS and VOA. For audiences who enjoy the broad comedy of Commedia Dell’arte, and for those who want a fix of left-leaning worker solidarity in those days before the current gig economy, then a visit to Ambassador Theater’s They Don’t Pay? We Won’t Pay! will be a splendid treat. Running Time: Two hours and 30 minutes. including one intermission. They Don’t Pay? We Won’t Pay! plays through March 26, 2016 at Ambassador Theater performing at The Mead Theatre Lab at Flashpoint – 916 G Street, NW, in Washington DC. For tickets, purchase them at the door, or online. The mark of master storytellers is that they can make a given narrative hold resonance and power beyond the narrow context of the original time and place. By this standard, much art will ultimately fall short, stripped of its context and relevance as time marches on. The work that endures captures truth, even when in a different language and time. Italian actor-playwright Dario Fo is considered such a storyteller. Beyond his considerable comedic instincts, this is due to his choice of material, often focused on promoting the solidarity of a working class smothered by a heartless ruling elite. If unfortunate for Fo’s idealism, the persistence of the struggle lends his work a timeless quality – particularly in the case of They Don’t Pay? We Won’t Pay! With wages depressed and the cost of living ever increasing, a group of women decide to take direct action by helping themselves to “five finger discounts” at the grocery store. They include Antonia (Hanna Bondarewska) and Margherita (Moriah Whiteman), whose capacity for direct action greatly exceeds their husbands’, Giovanni (Darren Marquardt) and Luigi (Mitch Irzinski). The men, ground into exhaustion by the low pay and tedium of their work, have a longer journey in imagining how to even begin meaningful rebellion. Giovanni, in particular, would go without food before considering picking up his wife’s brand of civil disobedience. Despite its soaring social vision, the production is not nearly as sober as a Bernie Sanders keynote. Pay injects plenty of levity and even slapstick as the women adopt an elaborate ruse presenting Margherita is pregnant to conceal their grocery bounty when Giovanni unexpectedly returns to the apartment. Further shenanigans abound as the women scramble to conceal their thievery from police who conduct a mass sweep in search of the stolen goods. Peter Orvetti plays a quartet of characters, distinguished mostly by modest costume changes. The most memorable and interesting is a police officer who, proud of his college pedigree during which he may have thumbed through some Marx in the library, adopts a more nuanced view of which thieves the police should be investing their energies pursuing. As the final moments of They Don’t Pay? We Won’t Pay! allude, most of us who make our living from wages should see ourselves in these images and stories, even as the clothing – or the language -changes. We let them fade at our collective peril. They Don’t Pay? We Won’t Pay! . Written by Dario Fo. Translated by Jon Laskin and Michael Aquilante. Co-directed by Joe Martin and Danny Rovin. Cast: Hanna Bondarewska. Darren Marquardt. Moriah Whiteman. Mitch Irzinski. Peter Orvetti . Set Design: Rachel Knoblauch. Set/Artist Painter: Julia Tasheva. Lighting Designer: E-hui Woo. Costume Designer: Sigrid Johannesdottir. Stage Manager: Xandra Weaver. Produced by Hanna Bondarewska for Ambassador Theater . Reviewed by Daron Christopher. THEY DON’T PAY, WE WON’T PAY! In politics, the expression “Marxist farce” could well be a slur hurled by some puerile and petulant presidential hopeful (you never know these days). In theater, however, the term “Marxist farce” has a reputable history and legitimate meaning as the name of a genre. It just doesn’t pop up much. In the economics of commercial theater, Marxist farce is a rare bird, and it’s no longer much seen in the U.S. indie theater scene either. 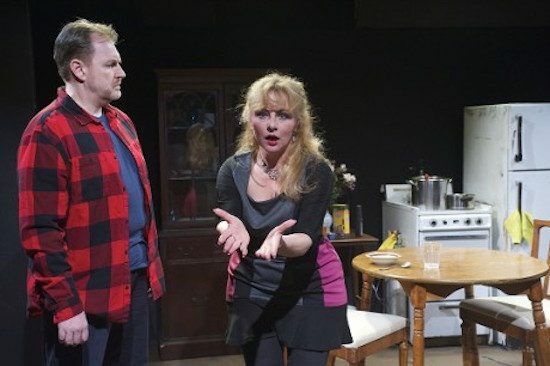 Peter Orvetti (Federal Agent), Hanna Bondarewska (Antonia), Darren Marquardt (Giovanni), Mitch Irzinski (Luigi), and Moriah Whiteman (Margherita). Photo by Valentin Radev. If you’re looking for one of these uncommon agit-tainments, you’d be hard pressed to find a more interesting and important example than Dario Fo’s They Don’t Pay? We Won’t Pay! It’s the prolific Nobel Prize winner’s most produced play, written in 1974 and staged around the world since. Thanks to Ambassador Theater you can catch this classic work of working-class consciousness in a terrifically witty revival at Flashpoint. In They Don’t Pay? We Won’t Pay!, Fo borrows farcical techniques from the Commedia Dell’Arte and boulevard theater of his native Italy as well as the Theatre of the Absurd. American audiences unfamiliar with these European traditions might more likely recognize echoes of Abbott and Costello, I Love Lucy, Martin and Lewis, and Jackie Gleason’s The Honeymooners. Indeed Fo’s two hilariously scheming housewives Antonia (Hanna Bondarewska) and Margherita (Moriah Whiteman) could be sisters to Lucy Ricardo and Ethel Mertz, and their two bombastic/bumbling husbands Giovanni (Darren Marquardt) and Luigi (Mitch Irzinski) could be doppelgangers for Ralph Kramden and Ed Norton. Darren Marquardt as Giovanni and Hanna Bondarewska as Antonia, Photo by Valentin Radev. The zany plot kicks off when consumer prices suddenly skyrocket and Antonia joins with other shoppers who are taking matters into their own hands by stealing food. Afraid her law-abiding husband Giovanni will find out, Antonia conceals some of the stolen food under her friend Margherita’s coat, with the result she looks pregnant. The husbands’ bewilderment over this sudden fecundity makes for running gags aplenty. Meanwhile the law shows up in multiple guises (Peter Orvetti) intent on finding the incriminating food loot. The play is aimed squarely at a mass middle-of-the-road audience, cleverly constructed to keep ’em laughing all the way through to the very end, when Fo’s exhortation to build a mass movement of proletariat solidarity enters slyly if not subtlely, like a beneficent deus ex marxism. Ambassador Theater is presenting the DC area premiere of a wonderful new-and-now translation by Jon Laskin and Michael Aquilante of Fo’s most recent rewrite (over the years he has continued updating it to keep pace with the dispiriting financial times), and it’s a real kick to listen to this adroit cast play it to the hilt. Zippily directed by Joe Martin, the production relocates the play from Milan to Newark, and changes Italian corporation names to contemporary U.S. behemoths like Citibank and Verizon. Also interpolated are some apt references to “the previous Pope’s” edicts against contraception and recent police activity in Baltimore and Fergusson. The first act is a hoot; the second act lags a bit. I sensed Fo overwrote a stretch. A labored subplot heist by Giovanni and Luigi supplants the far more madcap momentum begun by Antonia and Margherita. But that’s a script quibble. The Ambassador Theater’s enjoyable production of They Don’t Pay? We Won’t Pay! smartly showcases a classic by one of world theater’s most influential political consciences. Running Time: Two hours and 30 minutes, including one intermission. CASTING CALL for THEY DON’T PAY? WE WON’T PAY! Please register for one of the time slot online and be ready to read from the script! One of the great European comedies of the 20th Century, which caused Nobel Prizing winning playwright Dario Fo to be brought to trial for incitement in this play about women a mass movement of shoplifting from food stores, due to price hikes, throughout a city. The result is a peculiar number of pregnant-looking women in coats being pursued by the authorities everywhere. It is both physical comedy and a comedy of wit, sometimes in the “boulevard” style. Fo has roots in Commedia dell’Arte, and the influence shows in this modern farce. ANTONIA is a middle-aged (40s-50s) working class woman who knows how to live dangerously in a crisis—but prone to disastrous mistakes of judgment. She acts like she wants her husband’s approval in all she does – just enough to keep him fooled. MARGHARITA is a working class woman in her mid-20s to mid-30s (give or take) who often follows her friend Antonia’s lead; who both enjoys mischief, but is quickly frightened in a corner. GIOVANNI (age 40 – 55 for actors), Antonia’s husband, works in a factory. He is angry about the outsourcing of jobs by companies overseas, and unemployment at home. He is a moralist insofar as he supports law and order. He thinks himself shrewd – but is easily duped. LUIGI (late 20s to late 30s) is Marghareta’s husband, also a worker, discontent with deteriorating working conditions and prices. Quite frantic when he is told his wife is “pregnant” but just slow enough – or male enough – to believe it. WE ARE LOOKING FORWARD TO SEEING YOU AT THE CASTING CALL! Hiring House/Box Office Managers and Ushers/Volunteers! We are also looking for friendly ushers to assist our patrons at each show! If you are friendly and like to see the show, please e-mail us at ambassadortheater@aticc.org and state which days you are available! You get additional free ticket to each show!